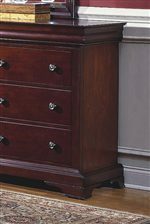 This dresser provides a stylish, versatile storage option. 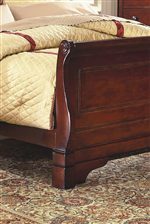 Framed in birch solid hardwood with English dovetailed joinery for lasting strength in a beautiful Bordeaux finish. 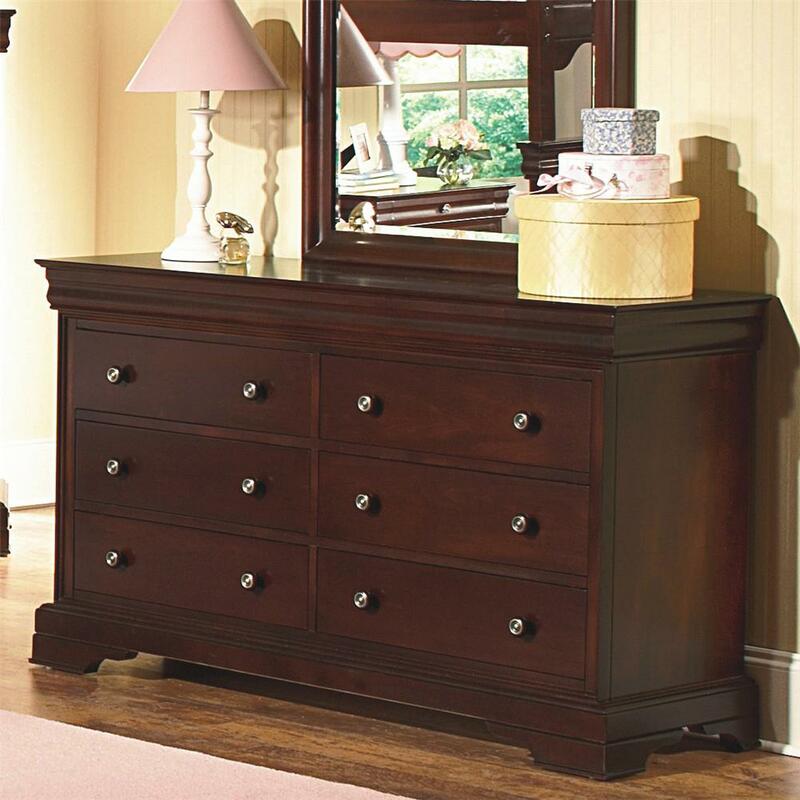 This piece is detailed with scalloped feet and brushed metal hardware knobs. It features six drawers for storing and organizing your clothes. Pair with the dresser mirror for the perfect combination in your bedroom. The Versaille Youth Dresser by New Classic at Michael's Furniture Warehouse in the San Fernando & Los Angeles area. Product availability may vary. Contact us for the most current availability on this product.